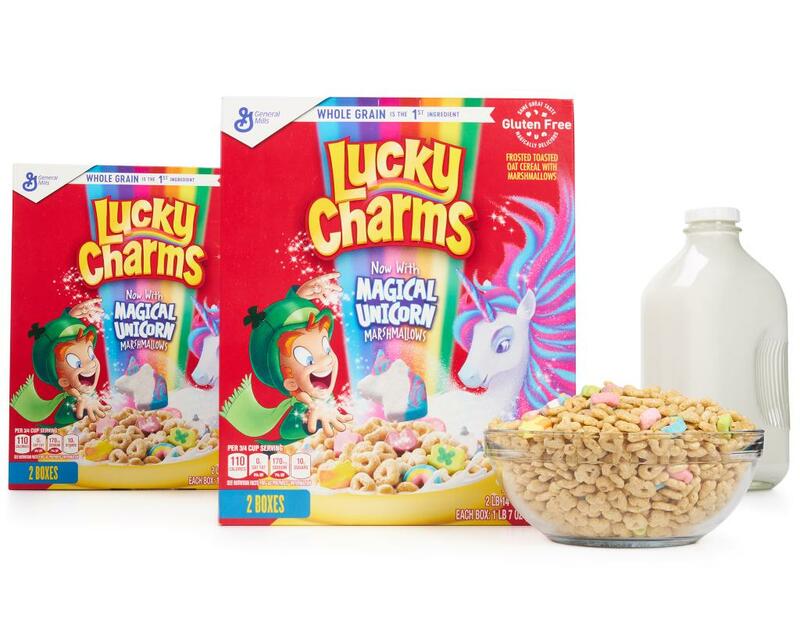 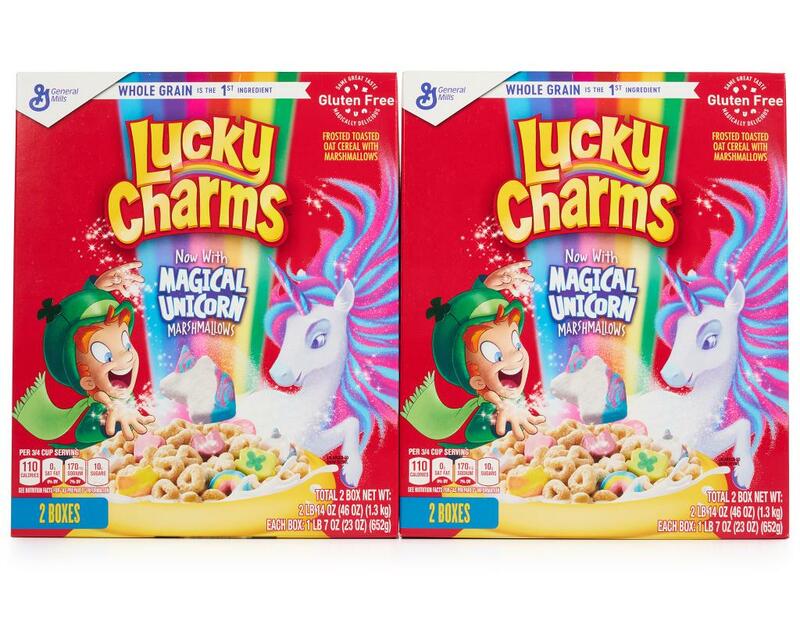 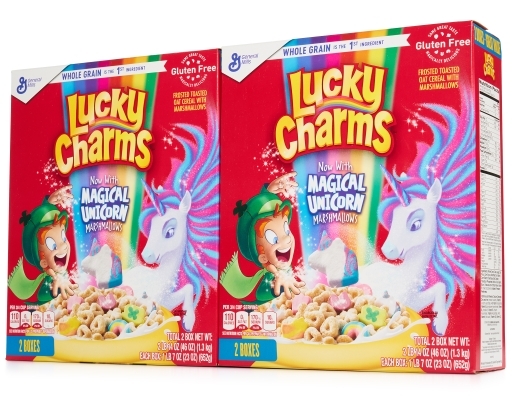 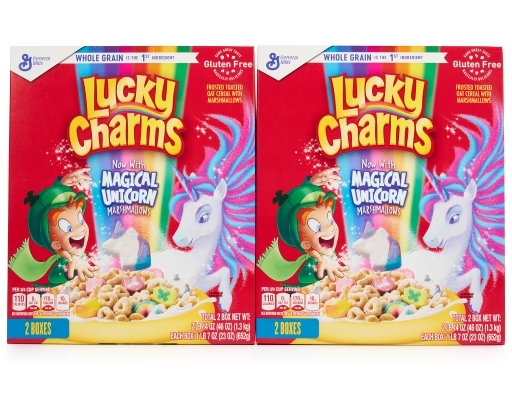 Magically delicious Lucky Charms cereal features frosted oats and colored marshmallows. Made with whole grain, Lucky Charms is fortified with 12 vitamins and minerals, and is a good source of calcium. 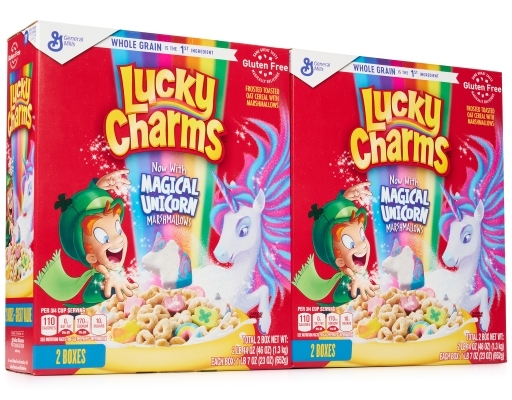 It's the the kids’ brand with adult appeal for more than four decades. 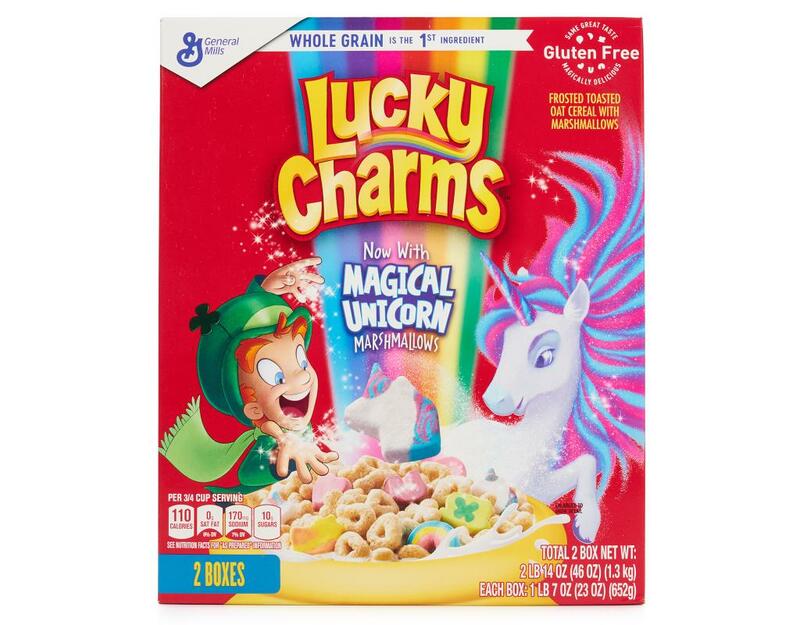 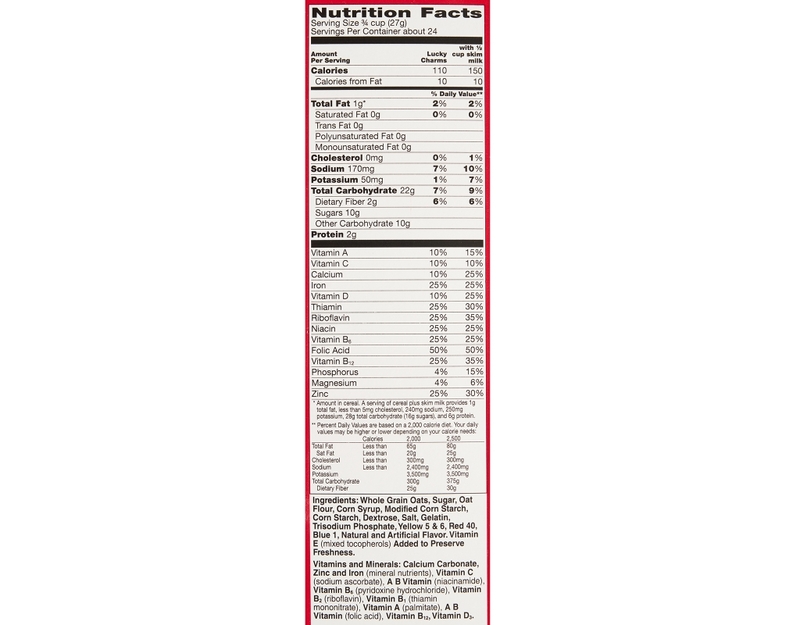 Whole Grain Oats, Sugar, Oat Flour, Corn Syrup, Modified Corn Starch, Corn Starch, Dextrose, Salt, Gelatin, Trisodium Phosphate, Yellow 5 & 6, Red 40, Blue 1, Natural And Artificial Flavor, Vitamin E (Mixed Tocopherols) Added To Preserve Freshness.